When looking into useful square footage for your home, an ideal consideration is a sunroom by Ampro. Sunrooms by Ampro could be used for a home office, larger living room, hobby room, exercise room, game room, man cave, private retreat or to simply relax and read. Sunrooms by Ampro utilize the latest in state-of-the-art design and materials, such as utilizing an extruded aluminum frame that is superstrong; fully jacketed with solid vinyl coverings. Add to that the screws and metal connections are hidden with wall surfaces inside and out covered in vinyl trim to add structural integrity, beauty and zero maintenance. The beauty of sunrooms by Ampro is that we custom manufacturer each sunroom based upon the needs and budget of the customer. Unlike some sunroom manufacturers that simply have a series of base models that have no flexibility in design or materials; sunrooms by Ampro offers a plethora of design options centered around your choices. Need a sunroom with just solid walls? No problem. Need a sunroom with full wrap around insulated windows? No problem. We can also add custom interior and exterior upgrades such as: different wall panel materials, ceiling fans, optional entry doors, a shingled roof and matching exterior siding; truly making your sunroom by Ampro an extension of your home. Because sunrooms by Ampro utilize the best in quality materials and time honored craftsmanship our sunrooms are built to last for the high level of energy efficiency, when compared to our competitors. Our 3 inch thick insulated walls with vinyl skins provide a solid structure to house the high performance LoE3 glass windows that block 95% of damaging UV rays while allowing 80% of visible light to come through. This combination of solid insulated construction both in the walls and windows provides for a highly energy-efficient sunroom that will help keep you comfortable your around while staying light on the utility bill. 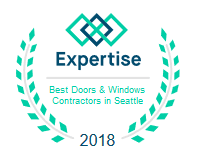 Specializing in sunrooms, sunscreens, window installation using energy efficient windows, door installation, roofing systems as well as lattice and patio coverings; we have the expertise and experience gathered from 30 years serving the Washington state area. Putting this experience into practice through our 125,000 square-foot facility, we utilize advanced computer aided design systems coupled with a level of craftsmanship seldom seen in the construction industry today. It is the owner of the Ampro Builders division that sets the standard that has made Ampro a household name for quality, dependability and longevity. Our perfected fabrication techniques allow us to establish a system whereby we can quickly and accurately assemble your sunroom to your specifications. Because of our manufacturing techniques and storage capability we also do not have to wait months for materials to come in like many of our competitors do. Sunrooms by Ampro can not only assemble your sunroom to your specifications quickly (most installations are substantially completed within two weeks after delivery of materials ) but we also back our labor and materials with a lifetime guarantee! 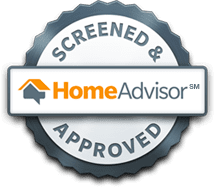 Our lifetime guarantee includes vinyl components and glass breakage plus, if you sell your home, the warranty transfers over to the next owner; – truly a life time warranty.